James Lawrence Castle was born in Thame in 1878 and baptised at St Mary’s Church on 2nd September 1880. 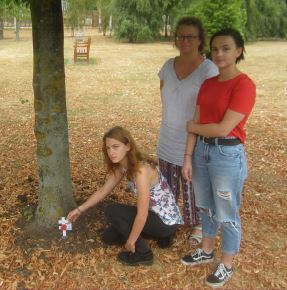 He was one of ten children of veterinary surgeon James Lawrence Castle and his wife Adelaide Clara (née Lambourne) who lived in Priestend, Thame. On 10th April 1900, at nearly 23 years of age, James joined the Imperial Yeomanry (Rough Riders) for service in South Africa. 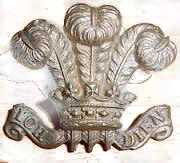 The records show him as a Private (Service No 16101) in the 20th Imperial Yeomanry gaining the Queen’s South Africa Medal with Clasps for Cape Colony and Orange Free State. He returned to England in 1901 and in 1902 he signed up in Thame to join the South African Constabulary, a paramilitary force set up to police the new states. It was disbanded in 1908. James joined the South Africa Veterinary Corps with the rank of “Dresser” (Private) on 9th January 1915. His fate after that is not known. 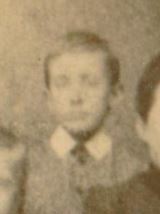 His brother Joseph Harry joined James in South Africa in 1911 and was married with two children when he died, age 24, in 1916. An extensive search of records in South Africa has not revealed any further information. The Thame Gazette 1918 list of those serving gives; “Driver J L Castle South African VC, High Street”. The Commonwealth War Graves Commission and other records do not show a James Lawrence Castle dying in World War One or in any conflict.